Energy efficiency means getting the most out of a tank of gas. It happens by learning how to use fuel efficiently, keeping your motorcycle properly maintained and stopping any leaks. The same principles apply to life. Using your energy efficiently makes you a lot more productive, reduces stress and frees up time to enjoy life even more. Range. The gas tank on your motorcycle has a finite capacity. It’s important to know how far you can go on a tank before refueling is necessary. It’s also important to realize that bikes are different and have varying capacities.Knowing when you need to stop and refuel is important for your well-being. This applies to all areas of your beings. Knowing when to stop and eat is usually pretty obvious. Recognizing that it’s time to recharge mentally, emotionally, spiritually are more subtle – but just as disabling if you run out of fuel. Fuel leak. Aside from being a safety hazard, fuel that leaks out from faulty seals, gas lines means you have less gasoline to fuel your trip. It shortens the range the bike can travel and means more frequent gas stops. Fortunately, the distinctive fumes help you detect it quickly.Giving your energy to the wrong people or endeavors means you don’t have as much to put towards your own goals. Not being able to say no is a perfect example of how this happens. It’s harder to detect than a leak on your bike, but just as draining. Stagnation. Gas can degrade when it sits too long, which is why adding stabilizer is recommended if the bike is going to be idle for extended periods – i.e. over winter. It needs to be used.Your energy needs to be used as well. If you’re not growing or challenging your self, you too stagnate. Reserve/Warning light. Most motorcycles have some sort of indicator to alert you that it’s time to top up. This is either a gauge with a warning light or a fuel tap that you need to switch to reserve. Whatever the case, it’s an indication that it’s time to stop and refuel. 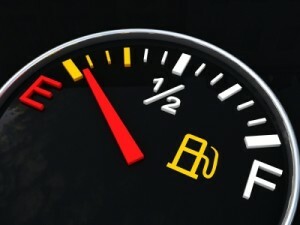 Ignoring this warning sign will leave you stranded.You too receive warning signs when it’s time to fuel up. Again, they’re often less obvious. There are no indicator lights or fuel tap that tells you to stop. Others may recognize the signs before you do and hopefully give you that feedback. As you become more self-aware and intuitively astute, you recognize the signs in your self earlier and can take proactive measures. Premium or Regular. Your owner’s manual will tell you what type of fuel your bike requires. Feeding it the wrong kind will cause premature engine wear. We’re all different and have individual requirements.What feeds one’s soul is not necessarily the same as what another requires. Here again self-awareness, being kind to your self, learning when to say no will keep you running at optimal efficiency. Running Dry. When a bike runs out of fuel, it sputters and stops, right where it is. It’s not going to go anywhere until it’s refueled. If you know you’re going to be traveling through an area where fuel is hard to find, you need to plan accordingly, otherwise you’ll be stranded.You too will sputter and stop if you ignore signs warning you that you’re running low. Unfortunately, the solution is not quite so immediate as filling up your bike and going again. If you run your self to the point of total exhaustion, it can create illness and disease. Pushing your self when fatigued can lead to accidents. It results in poor judgment and sub-optimal decision-making. Poor mileage. There’s an optimum engine speed where your bikes use fuel most efficiently. Excessive speed increases consumption and reduces your range. So does blasting off, shifting inappropriately, frequent stops and starts.Pushing life too hard will deplete your energy. So can using your energy sporadically, inappropriately or erratically. Frequent stops and starts drain the tank more quickly. Pay attention to the signs your body is sending you that you’re running low on fuel, or not using it wisely. They’re there, just as surely as they are on a motorcycle. And the outcome of running your tank out of gas in either case is being stranded on the side of the road.